You are viewing nun[seen] which is posted in the thought category. It would be really interesting if information designers designed these interfaces thinking about real people using them, not techno geeks. They are so freaking complex. 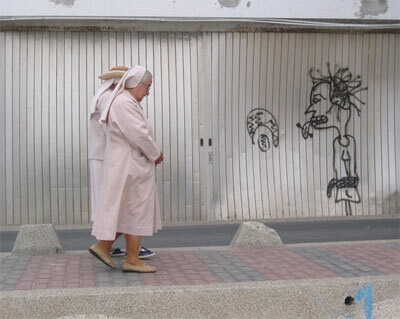 They make me feel as the fellow drawn on the wall trying to get the nuns attention failing in his attempt. Nun-understanding that we, sketches of real people, care about this stuff.